That mindset has transformed how consumers shop today. And we have Direct-to-Consumer, or D2C, brands to thank for that. Built on simplicity and convenience, D2C brands streamline the buying process from start to finish, owning everything from manufacturing to marketing to distribution. What does that mean for the average consumer, like you or I? Innovative, inexpensive products or services delivered right to our doorsteps in a fraction of the time. And these brands have taken the world by storm. In the next 5 years alone, 40% of US internet users surveyed that they expect D2C brands to account for at least 40% of their total purchases. Simple. Through the power of marketing. Read on for the five ways D2Cs are disrupting everyday marketing tactics. With greater access to everything, today’s consumers want more than mere transactional experiences — they want to build connections with the brands they are interacting with. That starts at the very first touchpoint, all the way to repeat purchases and brand loyalty. And connection comes from a foundation of trust. Digitally, D2Cs often succeed by offering free trials or trial periods for online, or offline, purchases. A great example of this is Casper, the mattress disruptor, who offers a 100-day (or night!) free trial. Knowing that mattresses are long-term purchases, this is a great way to build trust with new buyers. Moving on from the digital touch, D2Cs continue relationship-building through physical connection. Despite being digitally-first, they understand how to create tangible customer relationships at a fraction of the cost. 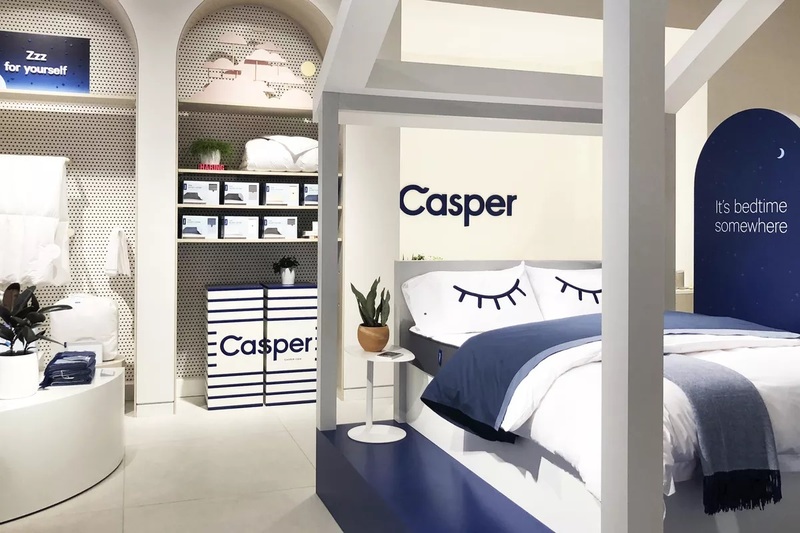 Returning to Casper, they opened 20+ “sleep stores” in the US in the past year, offering the look/touch/feel effect to interested buyers, and proving that brick-and-mortar is not dead, especially for digitally-savvy brands. Photo: Casper. Casper’s on-brand Sleep Store in-action. Did you know it can cost up to five times as much to acquire a new customer than to retain an existing one? Acquisition is expensive. With a focus on new, new, new, it’s difficult to see that the long-term value of loyal customers significantly outweighs one-time-only buyers. Shifting your quantity-driven quick wins to a longer-term quality-driven mindset will help you create and build on that customer connection while maintaining your bottom line. Provide great customer support, build loyalty programs, use retargeting to stay top-of-mind, or merely say ‘thank you.’ Little initiatives can go a long way! Check out oral hygiene-disruptor Quip as a perfect example, offering $5 refill credits to customers from everything to friend and dentist referrals to social media inclusions. Photo: Quip. 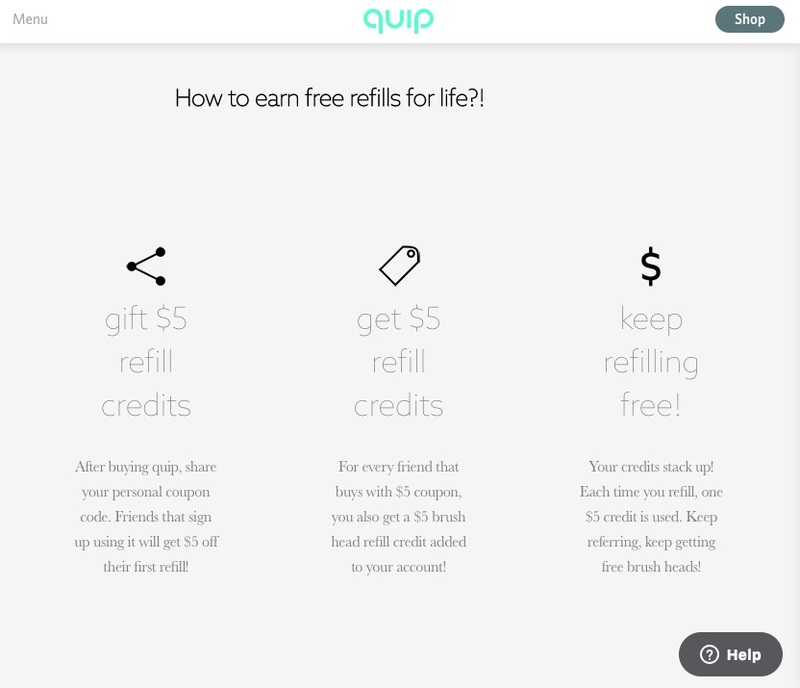 Quip’s rewarding retention-based rewards program. Traditional brands are known for their lack of diversity when it comes to their digital marketing budgets, spending a majority of their advertising dollars between the duopoly of Facebook and Google. But the great part about D2Cs is that they are scrappy, using unconventional methods to market cost-efficiently (and inexpensively), hacking their way to customer growth. They find new ways to start conversations with their customers, ways that incumbents aren’t — with Outbrain, for example. Using Outbrain, D2Cs escape the walled gardens, seamlessly integrating their content within top-tier publisher sites, gaining meaningful interactions for their brands. And since consumers trust publisher-based ads 24.4% more than social ads, it’s a no brainer (pun absolutely intended). Similar to their brick-and-mortar presence, D2Cs are also bringing traditional marketing tactics back, such as TV and Out-of-Home advertising. Gone are the days of overly expensive TV placements and print ads — media channels are seeing the opportunity and acting. NBC, for instance, launched a cost-efficient program for D2C brands to spend across their platforms. Bottom line, be where consumers are, digitally and beyond. Brooklinen does so seamlessly, promoting earned and owned media across the Outbrain network, driving 15% more conversions than their social platforms. Photo: Brooklinen. 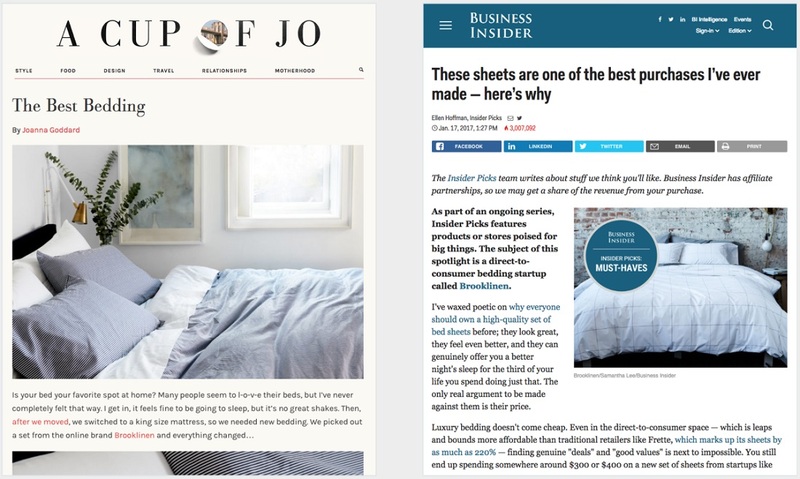 Examples of Brooklinen’s owned and earned media promoted across Outbrain. Community development is at the core of the D2C strategy, and given our share-driven culture, that’s made easy through the use of organic social brand-building. Social platforms are great for organic marketing — from social listening tools to understand customer feedback and sentiment, to making your customers part of your brand. Warby Parker is the perfect storyteller when it comes to brand-building socially. 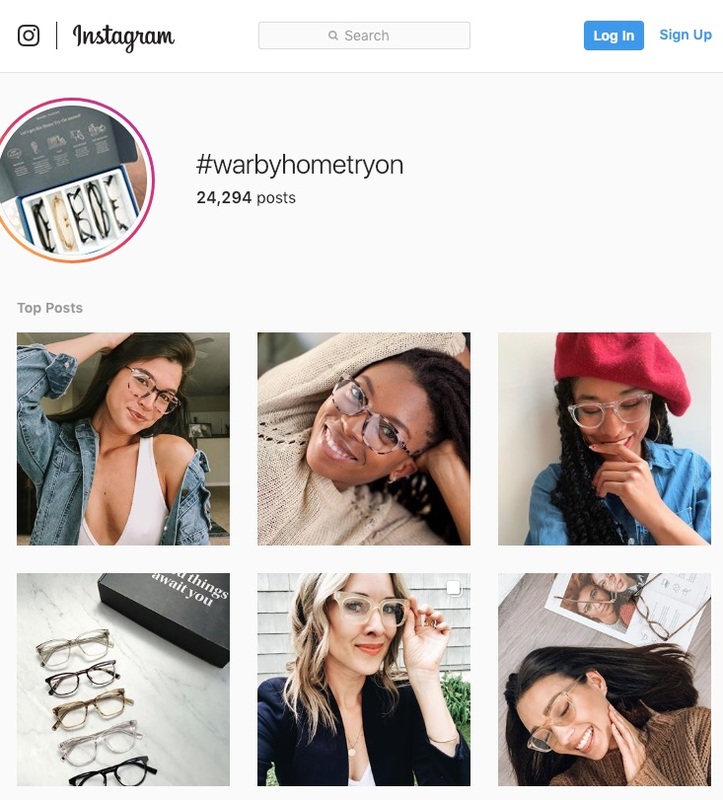 Understanding that customers are always looking for feedback from family and friends on their new looks, Warby started the ever-growing #warbyhometryon hashtag, encouraging customers to spotlight their try ons. Not only was this a fun way to experience their brand, but Warby found that customers who shared their try-on content online were 50% more likely to make the purchase. And influencers are still very much relevant, though given the need for a more authentic advertising experience, consumers appreciate micro-influencers more, feeling a greater relatability to them and the products they are promoting. Photo: Instagram. Warby Parker’s #warbyhometryon hashtag has almost 25k mentions. D2Cs might collapse the conversion funnel, but guess what? Despite the popular trends and financial backings, they face the same attribution struggles as any other marketer. On the one hand, removing the middleman makes their data much richer when it comes to personalization of marketing efforts. On the other, efforts to diversify their media mixes, traditionally and non-traditionally (offline tools such as OOO), can also be difficult to track across such an array of platforms. Most of our D2C partners actually mention hacking their own attribution models together. So, don’t fret — they are certainly disruptors to look up to, though they are also every-day growth-hacking marketers just like us! D2C brands are disrupting marketing as we know it, driving authenticity in advertising through strongly built connections and storytelling with their customer bases. Interested in driving native interactions (and conversions!) for your brand? Dive into the Outbrain experience to see how native ads can increase performance for you.